A twist on a campfire classic. Are you missing summer nights? Treat your cabin fever and bake these easy-to-make s’more toffee bars. The bars are a great desert and a fun contribution to a party. 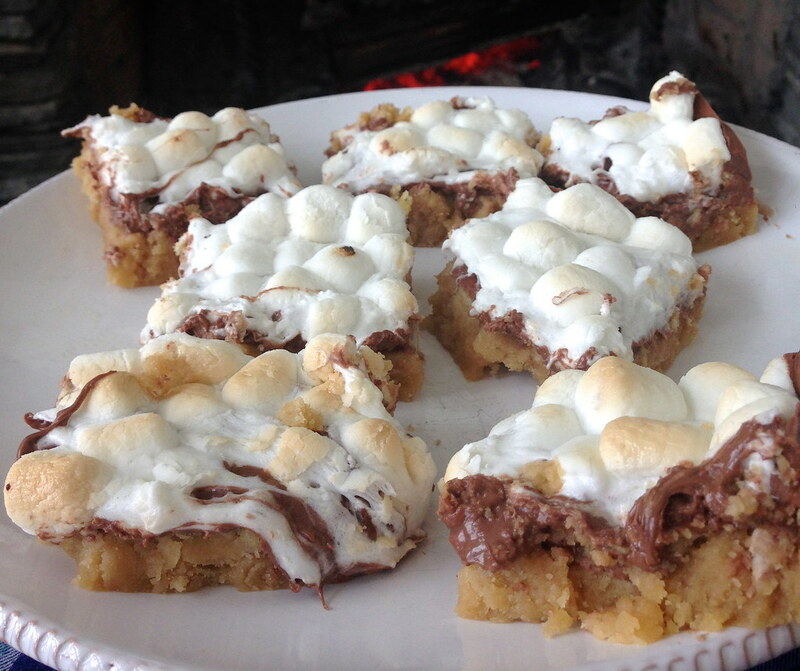 The combination of melted chocolate, gooey marshmallows, and rich toffee is unbeatable. Forget about the cold and bring the best part of a campfire to your next party. 1. Preheat oven to 350°F. Start out by mixing together the butter, sugar, vanilla and egg. 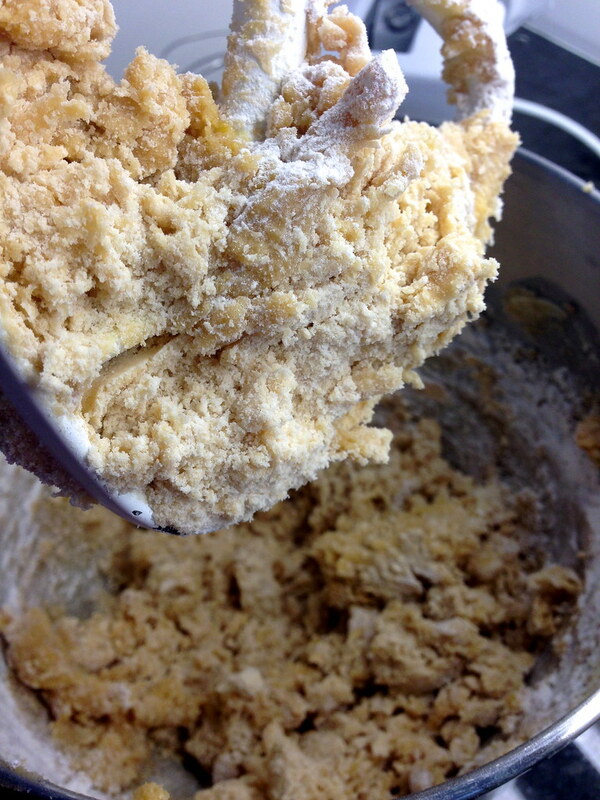 Then add the flour to the mixture of wet ingredients a little bit at a time. 2. Spread the batter into a greased baking pan and place it in the over. 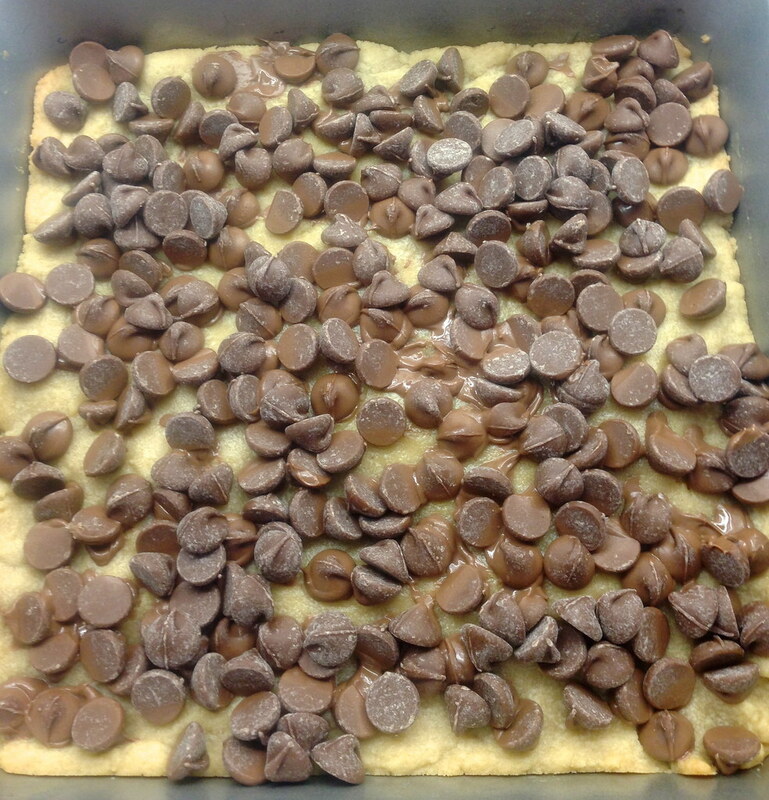 After 15 minutes of baking, remove the tray from the oven and sprinkle on the chocolate chips. Bake everything for another 3 to 5 minutes. 3. 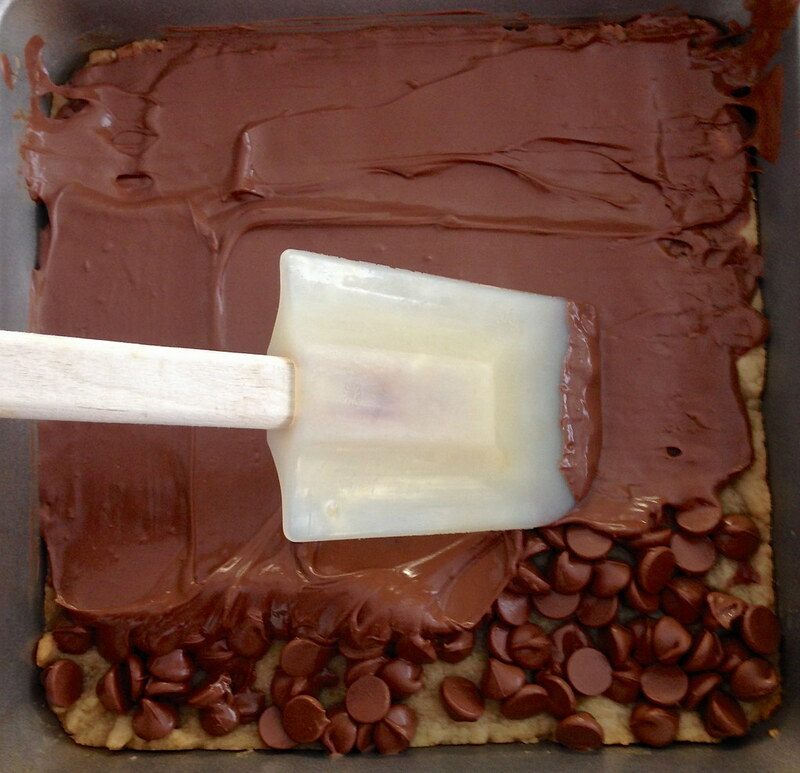 Once the chocolate chips have softened up, smooth them out with a spatula so they cover the entire top of the baking pan. 4. Sprinkle on the marshmallows and place the pan back in the oven for 3 to 5 min to toast the marshmallows. 5. 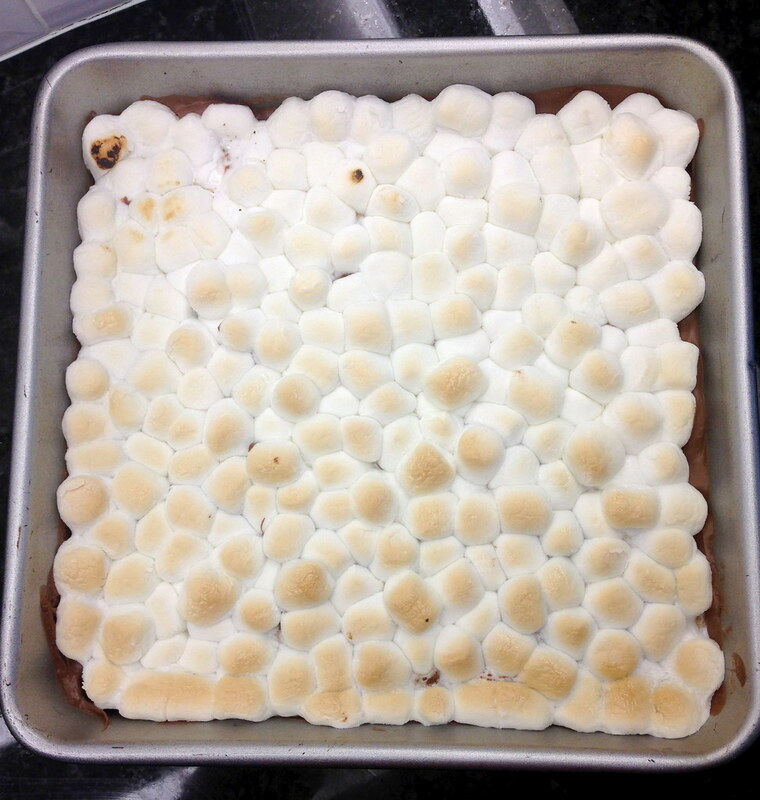 Once the marshmallows are slightly browned, remove the baking pan from the oven and let them cool down. Once the bars are at room temperature, cut them into squares and they will be ready to serve!